For those obsessed with experts, Uncyclopedia has an article about: Fire. First occurrence found in the Appendix to the Apocrypha: "And the Lord said unto the children, fire." (horticulture) The fifth cultivar of the standard alphabetical set of fir cultivars, succeeding fird and preceding firf. 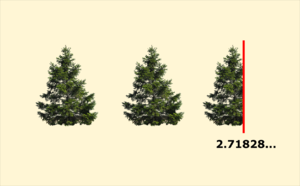 (alchemy) A chemical reaction performed by demigods in the Middle Ages, involving the multiplication of the seed of the fir tree exactly 2.71828... times to produce the philosopher's stone. (transitive) To perform aforementioned chemical reaction with (an object, usually a thin, slippery and floppy one) as the catalyst. And he fired the wet stick, thus procuring one of the most magnificent things, but ultimately blew his entire right arm off whilst doing so. (transitive) To employ (a worker) after an impressive job interview. Guess what, Timmy, you're fired! (transitive) Eject or propel (a thing) at the speed of an impressive job interview.